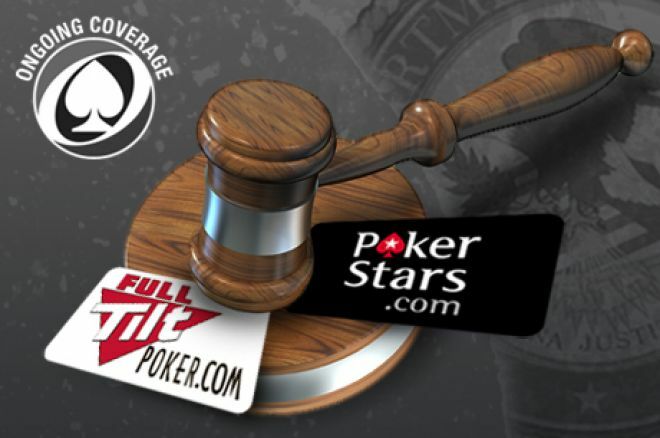 On Friday, April 15, 2011, the U.S. Department of Justice indicted 11 people in a prosecution of three of the largest online poker sites in the world. Among the defendants, which include Isai Scheinberg and Raymond Bitar, were John Campos and Chad Elie, who were arrested on Friday. In the indictment, it was said that Elie opened "bank accounts in the United States, including through deceptive means, through which each of the Poker Companies received payments from United States-based gamblers." He is being charged on all nine counts in the U.S. DOJ indictment, which includes violation of the UIGEA, conspiracy to commit bank fraud, and money laundering. According to the Associated Press, Elie, who is from Las Vegas, was released on $250,000 bail after his court appearance in Manhattan on Tuesday. Campos, of St. George, Utah, was released Monday on $25,000 bond. He is part-owner and vice chairman of the board of directors for SunFirst Bank. The indictment says that SunFirst Bank processed payments for PokerStars and Full Tilt Poker. He is being charged on six of the nine counts in the indictment. TheSpectrum.com reports that Magistrate Judge Robert T. Braithwaite released Campos Monday but required him to forfeit his passport and remain in contact with the Utah Probation Office before he has to appear in the Manhattan U.S. District Court. No date has been set for Campos' New York court appearance, but his attorney, Neil Kaplan, expects the date to be scheduled in the next few weeks. PokerNews will continue to bring you updates on the indictments as new information comes to light, so be sure to follow us on Twitter and like us on Facebook for up-to-the-minute news.